The Sports Report: Sports Talk with Bryan Nolen blog. That makes 9 NFL TEAMS and 11 BACKUP QB’s that will suit up and start for their team to finish the season. In your opinion, what is the reason for the number of injuries that have been suffered by starting QB’s? At the very start of the episode, we saw a new side of Pow Pow. She actually put herself second and really cared/cares about Donny. I love Donny and his alliance with Pow Pow. Hope one of them wins the veto and then they vote the other person out. Donny is a true guy. I have so much respect for him and the emotion he showed, was making me little watery in the eyes. Devin, on the other hand, is just a really stupid player. First, he thinks Donny is solider, then he thinks he is a great actor. MAKE UP YOUR MIND! I am actually on Frankie’s side of this one: He is overthinking this game already! Donny and Devin talk and Devin asks him about if he was in the military. He said no and I was thinking that Devin may turn the tables but it still seems that he wants to take Donny out. Joey asks Amber if she wants to have an all girl alliance. Joey doesn’t know that Amber is in the Bomb Squad. Amber then goes back to Caleb and tells him. Jo Jo is target #1 now. Jo Jo tells Devin that yes, she did start a all girl alliance. Why?!?! You never tell somebody that! oh goodness..
Next up is picking players for the veto: Donny, Zach, Pow Pow, Victoria, Cody and Caleb all will be in competition. POV Comp was up next and boy, they cats are not very good spellers! Last one was Donny and he had a 9 letter word! DONNY WINS POV! WHOO!!!! Veto meeting is up next and Donny takes himself off the block. Caleb puts Joey on the block so it will be Joey vs. POW POW! Devin: He seems pretty cool! Has two year old kid. Looks like the Rock. Jo Jo: Seattle gal. She looks cool! Kinda cute. Nicole: So cute! Seems like a dumb blonde but I bet she is really smart. She is also very attractive. Brittany: Got 3 kids. VERY ATTRACTIVE. Caleb: Awesome guy. Military country boy. POW POW: Her name SAYS IT ALL! POW! Cody: All the girls will love him! Hes got that “look”. Frankie: Ehh, not really a fan. Ariana Grande brother. Super funny though. Christiane: She seems odd…..Really quirky! Freaky looking husband….. SHE likes to walk around NAKED. Hayden: Goofy funny rad dude! Don’t think he will go that far in this game. Victoria: Seems like a witch. Two faced. Also very cocky. Zach: Seems really just jocky. Already pissed off the HOH just MINUTES into the BB house. IDIOT! 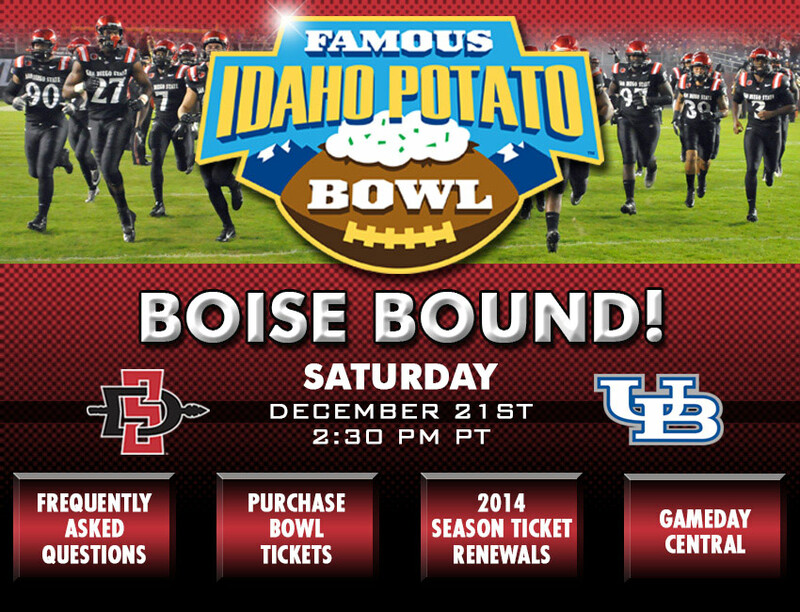 The Bulls face the Aztecs in Boise on December 21, 2013 on ESPN. Here are some notes on each team. San Diego State Offense: The Aztecs started off 0-3 but then rallied to win the next 7 of 8 before losing to UNLV. Quinn Kaehler, Junior from San Ramon, CA, started the past 10 games after Adam Dingwell got benched after the Ohio State loss. Kaehler has thrown for 2,796 yards with 17 TD compared to 9 INT’s. Kaehler has completed 60.1 percent of his passes. Adam Muema, the junior from Covina, CA, has rushed for 100+ yards in five games this season. He rushed for 233 yards vs. New Mexico. Buffalo Offense: Buffalo started out the season on a sour note. They lost to Ohio State, 40-20, then went to Baylor and got crushed 70-13. They did win seven straight until the loss vs. Toledo. Sophomore QB, Joe Licata, has thrown for 2,628 yards and 21 TD’s compared to 7 picks with a completion rate of 59.1. Branden Oliver is 6th in the NCAA in rushing attempts (282) and 2nd in the MAC in rushing yards (1421). San Diego State Defense: On the defensive side, J.J. Whittaker is a monster! He has three interceptions on the season with one of them, returned for a touchdown! He is third in the MWC with 11 passes defended. Buffalo Defense: The San Diego State O line will have a big task in Boise with trying to control Khalil Mack. The senior from Fort Pierce, Florida, is 3rd in the FBS with five forced fumbles and is first in the FBS, of all time, with 75 tackles for losses. Mack has 94 tackles along with 3 INT’s for the year. Kapri Bibbs has been a monster for Colorado State. The sophomore from Plansfield, Illinois has rushed for 1,572 yards in the Mountain West. He is first in the Mountain West in rushing yards, rushing attempts, plays from scrimmage and TD’s from scrimmage. He is 8th in rushing yards in the NCAA and first in the NCAA in TD’s from scrimmage. He is a workhorse! Colorado State has won 3 of the past 4, with its only loss to Utah State. First time Colorado State has been bowling since 2008 when they beat Fresno State 40-35. The Rams are 20th in the nation in yards per game (485) and points per game (38.3). Garret Grayson passed for 3,180 yards. 21 TD’s to 10 Interceptions. – On the other side, Washington State’s QB is a machine! Connor Halliday has thrown 28 TD’s on 656 Attempts (1st in Pac 12 and NCAA) as well as total plays (699). – He does have 21 interceptions which ranks first in the NCAA. Halliday set the FBS record for passing attempts in a game, throwing it 89 times (completing 58) in a loss to Oregon in October. – Their running game does struggle. They are ranked 123rd in the FBS of 126 teams with 58.7 yards per game. They have only had three games which they rushed for over 100 yards. – They have won two of the last 3 but their last game was a loss to Washington. Heard about on Thursday and got told about it on Friday by Coach Peterson. Recruits were told by Mark Coyle the AD of Boise State and all Recruits scheduled to visit here yesterday, were postponed and future trips for recruits will be postponed till January. 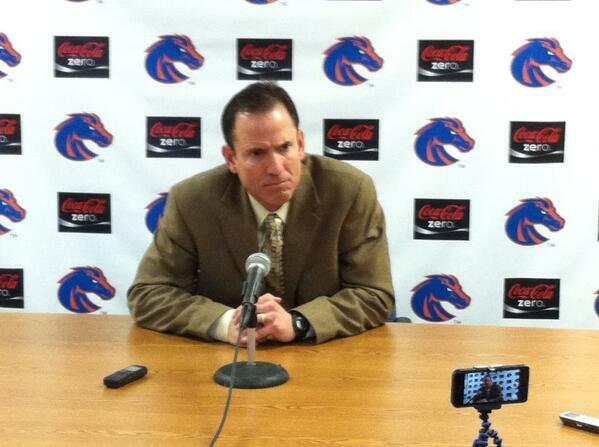 He did interview for the head coaching position today with AD Mark Coyle. He is pumped for the game in Hawaii and he knows the players will work hard and will have no lingering effects of the situation. Doesn’t know who will start but knows that Southwick is getting better every day and he will play on Xmas Eve. Kirby Moore, Kharyee Marshall and Johnathan Brown addressed the media next. Marshall found out and was sadden by the news but he wishes coach pete the best at UW. Brown got up at 6:15 AM to buy a pair of new shoes. He didn’t get the pair so he was checking ESPN.com and saw the news and couldn’t go back to sleep. Moore found out from some text messages from some of his friends and then found out there was a meeting with Coach Pete that morning and knew the news had to be true. Brown and Marshall thought it was cool because “their” coach gets to be the head coach now and gets to run the point. Fired them up little bit. They found out they were going to the Hawaii Bowl with Coach Gregory before practice today. They do not know their opponent for the game but they do know they are going to Hawaii. That’s all from the press conference.